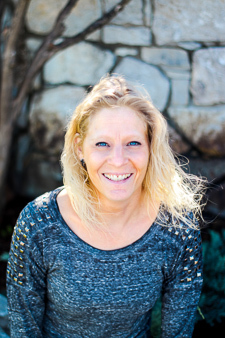 A Colorado native, Laura Erickson graduated from Colorado State University in 1994 with a degree in Equine Science. 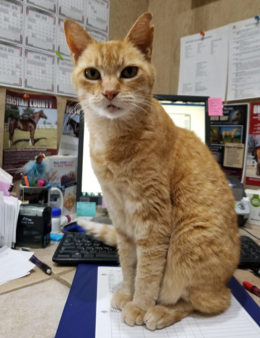 Shortly following graduation, she applied for a position at Royal Vista Equine in Ft. Collins, Co. and was hired to fill a part-time office position available at that time. That soon turned into a full-time position outside with the horses where after several years of training she moved into the mare manager position. Laura continued with Royal Vista Equine as their business expanded. While business was growing in Colorado, it was becoming more and more evident how strong the Oklahoma Race Program was becoming. There was an obvious need to expand operations into the state of Oklahoma to provide year-round care for both client mares and Vaughn and Jill's own mares. The decision was made in the summer of 2005 to create a new partnership and thus a new business and begin operating in Oklahoma. 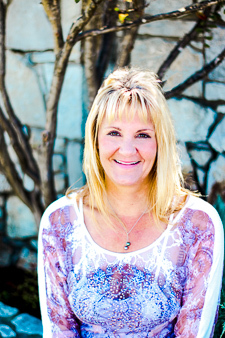 In October of 2005, Laura moved to Wayne, Oklahoma and immediately opened the doors of Royal Vista Ranches, LLC, a partnership between herself and Vaughn and Jill Cook. Previously owned by Jerry Wells, the pristine farm situated on 95 acres was ready for business. Though some minor moderations were made to suit their specific needs, the first horses began arriving as early as November, and they were in full swing and geared up for business for the 2006 breeding season. Business has continued to grow each year, and the continued addition of excellent stallions has contributed to that. Laura maintains day to day operations while Vaughn and Jill make regular visits to the farm. It is a partnership that has proven to be extremely successful as evident by the growing success of the business. Royal Vista Ranches is truly an example of the great things that can take place when friends join together fueled by their passion for horses. Dr. Claire Freeman was born in Elmira, New York and grew up showing in the hunter/jumper divisions. She attended the University of Notre Dame, receiving a B.S. in Biological Sciences, before graduating from Cornell University with her D.V.M. in 2011. Following vet school, Dr. Freeman did a one-year internship in Large Animal Medicine and Surgery at the University of Georgia. From there, she completed a three-year residency in Equine Practice at Louisiana State University, performing rotations in equine medicine, equine surgery, and comparative theriogenology (animal reproduction – mainly horses and dogs). 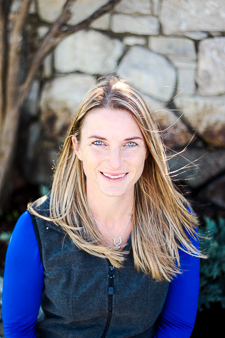 During her residency, Dr. Freeman traveled to the Southern Hemisphere for two seasons, working in Australia one year and New Zealand the next. Dr. Freeman passed her boards in 2015, becoming a Diplomate of the American College of Theriogenologists (DACT). Prior to joining Royal Vista Southwest, Dr. Freeman was in private practice in Saratoga Springs, New York. Dr. Renae DelHomme grew up in Sugar Land, TX. She graduated in only three years with a B.S. in Animal Science from Oklahoma State University, and continued on at OSU to receive her Doctor of Veterinary Medicine degree. In 2011, Dr. DelHomme did a three week externship and completed a one year internship here at Royal Vista Southwest before she was hired on full time. She has a passion for reproduction and neonatal care. In the off-season, she enjoys riding and camping with her horses all over the country with her husband and step-daughters. Equine background: Carrie spent time on a horse ranch (Double B Farms) growing up, and worked with trail horses during youth camp. Favorite part about working in the equine industry: Her favorite part of working in the equine industry is foaling out mares. She loves seeing the babies stand for the first time and take their very first breaths! Hobbies outside of horses: Outside of the ranch she enjoys reading and hanging out with her kitty cat. And if she weren't working at the ranch, she'd most likely be working with animals at a second chance or no-kill sanctuary. Equine background: Catherine enjoyed growing up with horses and ponies at home -- playing games and riding recreationally with her sisters and family. She experienced first-hand the therapy horses can provide to the disabled as a volunteer at a hippotherapy ranch. Catherine gained her initial exposure to equine breeding working on a graduate student's project collecting miniature stallions -- and upon completing an internship at Granada Farms in Wheelock, Texas, joined the team at Royal Vista Ranches. Favorite part about working in the equine industry: Her favorite part about working in the equine industry is getting to wear jeans to work and be outside. Hobbies outside of horses: When she isn't working at the ranch, she likes watching movies from the 1940's, 50's and 60's, and westerns with John Wayne, as well as going to plays -- especially musicals -- and walking at the park with her dog. If she wasn't working with horses, she'd likely be doing something in math or history -- possibly a teacher. She's always liked math and solving equations, and enjoys European and Colonial American history. From: Maywood, IL -- but prefers to identifly with his alma matter's home state of Colorado. Equine background: Geo's family was involved with 'Charreria' and Quarter Horse Racing, so he grew up exposed to those areas of the equine industry, and then in college he started Team Roping. Favorite part about working in the equine industry: Working in the breeding farm area of the equine industry naturally forces you to have a "bigger picture" pay off in mind. This includes personal development and cultivating relationships for the love of the industry--it's basically working your tail off for an end result that you can be proud of even if it only lasts a fraction of the time you invest in getting there. But you crave it! So to answer the question, my absolute favorite part of everything Royal Vista is going to the horse sales where I'm able to network with others in the industry and experience the achievement of horses going to sale ring. Hobbies outside of horses: None... to me a hobbie is a time killer. I have interests outside of horses I would not consider hobbies. If he wasn't working with horses every day, he sayds he'd be a Walmart greeter--which he's (jokingly) considering taking on as a hobbie job! But in all seriousness, he'd definitely be a barber, run a restaurant and likely be an actor, too. 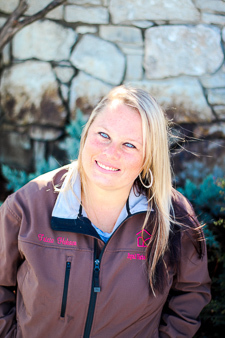 Education: Tricia graduated from Wayne High School in Wayne, Oklahoma and completed Horse Production and Management at Mid-America Technology Center. She also holds and maintains multiple certifications, including: firefighting, fire behavior, EMT-b, EMR and HASMAT awareness. Equine background: Tricia has always had horses in her blood, and began exercising barrel horses for Joyce Kernek-Loomis during high school. Upon graduation, she took a position at Oklahoma Stud where she first gained experience in equine breeding, foaling and sales preparation. After nearly 4 years, she took a position at James Ranch in Wayne, OK, where she continued to grow her knowledge and expertise in foaling mares and caring for foals. 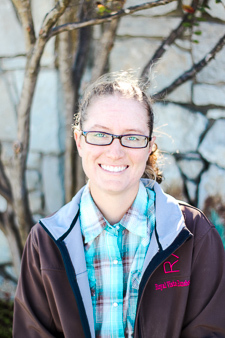 She's been with Royal Vista Ranches for six foaling seasons, loves her work, and enjoys sharing her foaling knowledge with others. Favorite part about working in the equine industry: Her favorite part about working in the equine industry is that she never stops learning, and has had the privilege of knowing and learning from some of the most knowledgeable and horsemen and women in the industry. Foaling is her absolute favorite part of her job since each one is different and comes with its own set of potential challenges and rewards. 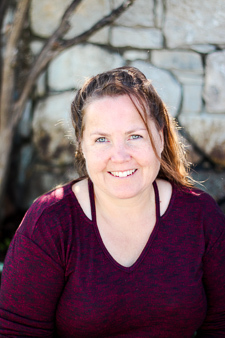 Hobbies outside of horses: Outside of the ranch, Tricia loves watching her kids play sports and show livestock, and hunting and fishing with her family. She's an active member of the F.A.I.T.H. Riders of Enterprise Chapter Motorcycle Ministry and the Rosedale First Baptist Church. If she wasn't working with horses every day, she'd likely be a full-time firefighter and medic. She's been a volunteer firefighter for the past 16 years in her community. 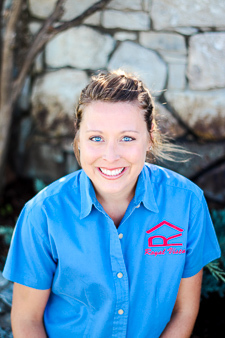 Equine background: Jesse grew up with horses on cattle ranches in the Nebraska Sandhills. They were an everyday part of life--our equipment, transportation, partners, and best friends. There were large portions of her life where she spent more time in a saddle than on her own two feet. Throughout high school and college, she started young horses, finished green horses, and corrected problem horses for local clients. Jesse also worked with saddle horses and drove teams for Nebraska Game and Parks at Fort Robinson over two seasons. She took every opportunity to work with large animal veterinarians during college, and that's how she discovered her love for science, medicine, and health management in livestock. Favorite part about working in the equine industry: She enjoys the quirks that come with every individual horse. Even if you have a daily routine, the horses keep it from getting boring--sometimes they're frustrating beyond belief, and other times they melt your heart. Just when you think you have something figured out, a new horse will come along that challenges everything you thought you knew, and that's what makes us grow as horse owners and/or professionals. It's those challenges, along with the funny moments and sweet memories, that make the horse industry such a blast. Hobbies outside of horses: Outside of the ranch, Jesse enjoys hiking, kayaking, reading, and writing. If she wasn't working with horses every day, she'd be going on trips and adventures with my fiance. They've traveled coast-to-coast and over 15,000 miles together so far, and are always itching for another adventure! Equine background: Kara began volunteering at a horse rescue when I was 14. She continued on there, and also began getting jobs at various local barns to expand her experience through her high school FFA program. She attended college as an Equine major, taking every possible Equine class, while also becoming a teacher's assistant the following year. 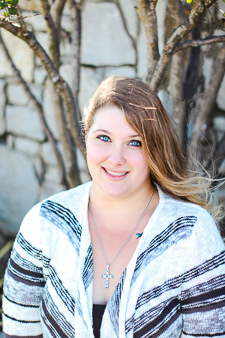 Toward the end of her college career, Kara applied for an internship at Royal Vista Southwest. Upon completion of the internship, she decided she wanted to continue in the industry with Foaling, and was able to join the team as a Foaling Attendant. Favorite part about working in the equine industry: She enjoys learning about the body language of each horse -- no two horses are the same -- and it's a personal challenge to herself to get a feel for each horse's unique personality. She finds satisfaction in being able to calm a horse that spooked at something a human might see as insignificant -- she says there's just something about earning the trust of a 1200 lb animal when you are so much smaller -- it's an amazing feeling. Hobbies outside of horses: Kara loves reading and working out, swimming being a favorite activity. Being new to Oklahoma, she's also been enjoying driving around and exploring the area she now gets to call home. If she wasn't working with horses, she considered becoming a marine biologist when she was younger. Kara has a deep love for the ocean and aquatic creatures, so odds are she'd find a way to work on the ocean! Equine background: Nicole has been involved in horses as far back as she can remember. She grew up showing quarter horses -- first in 4-H and then showing and judging with AQHA. Her family raised, owned and competed with several regional and national champions -- she herself qualifying and competing at the AQHYA World Show three times. Following college, she became very interested in the American Quarter Horse racing industry, and has had the privilege of working with multiple champions in her six short years in racing -- and hopes the future will provide her with the opportunity to work with many more. Favorite part about working in the equine industry: Her favorite part about working in the equine industry is seeing hours of hard work and training pay off when 2 years head to the racetrack for their first race season. She enjoys them when they're just babies, and also when formal training begins as yearlings, but seeing them accomplish success on the track is truly the most rewarding. Hobbies outside of horses: When she's not at the ranch working with horses, she loves to spend time with her dog, Faro, swimming, working out and keeping up with what's going on at the racetrack. She really can't imagine a life not working with horses since they've played such a huge part in her life up this point. However, if she had the chance she'd likely go back to school to become a veterinarian. Equine background: Becky grew up as a city girl in love with horses and a father who said she couldn't have one, so she settled for the occasional chance to participate in trail rides, summer camp with horseback riding and the local riding club. She got her first horse while she was in college, and then a couple more, but is currently the proud owner of one fat Appaloosa. Hobbies outside of horses: When she isn't at the ranch, she enjoys trail running, camping, bike riding and generally exploring the world outside her door. If this gig doesn't work out, her back-up plan is becoming a barista at Starbucks -- but she's hopeful it won't come to that.